You are here:Home » Category: "Marina"
Yachting Boating World: If you plan to spend your retirement sailing, then these new homes being built at the Cornish waterside village of Mylor Bridge could be for you! 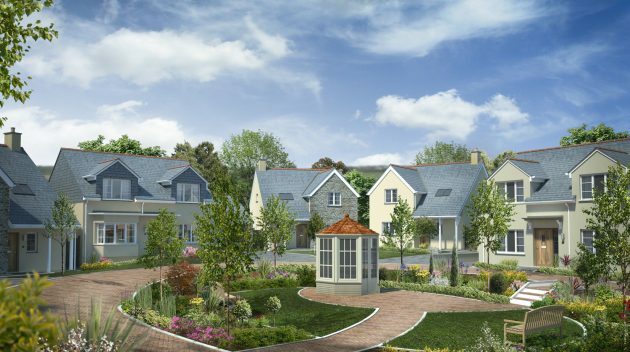 Located in the Cornish village of Mylor Bridge, near Falmouth, the development by Blue Cedar Homes will see nine detached properties built around landscaped gardens and a communal summer house. Each of the houses in Mylor Gardens will include features such as underfloor heating, granite worktops and solid oak doors. A locally employed visiting estate manager will look after communal areas and provide general maintenance across the development. Sat at the end of Mylor Creek, Mylor Bridge is a popular destination for yachting and boat racing, with many residents mooring boats on the shore of the creek. Mylor Yacht Harbour, with its full-service boatyard, sits just over a mile from the village and is close to Mylor’s Yacht Club which boasts a calendar full of races and social events. “Cornwall is well known for being an idyllic holiday destination and equally a fantastic place to enjoy retirement and we are keen to offer more homes in this beautiful part of the country,” he continued. “Mylor Bridge in particular is well positioned to enjoy both the coast and countryside and with the development being close to the village centre, homeowners will be able to enjoy village life as well as all that nearby Falmouth has to offer,” added the managing director. Named one of Britain’s best villages by the Sunday Times, Mylor Bridge has many local stores including a Post Office, grocery store, fishmonger, baker and butcher. The area also benefits from a range of leisure activities, including the local cricket and yacht clubs and a selection of award winning pubs. It is just four miles from the famous harbour town of Falmouth, including Carrick Roads, which offers a thriving art and culture scene, a host of award winning bars and restaurants and numerous stunning beaches, including Gyllyngvase Beach. The city of Truro with all major high street brands, restaurants and a theatre is only a eight miles away. Homes at Mylor Gardens are due for completion in Spring 2017. Yachting Boating World: See pictures of the stunning Porto Montenegro, which has been shortlisted for the coveted TYHA Superyacht Marina of the Year Award. It won the accolade last year. Porto Montenegro in the Bay of Koto has been shortlisted for the TYHA Superyacht Marina of the Year 2016 award. The awards are open to all Gold Anchor accredited members of The Yacht Harbour Association (TYHA). Categories include British Coastal Marina, British Inland Marina, International Marina and Superyacht Marina. Porto Montenegro won the TYHA Superyacht Marina of the Year Award 2015. The prize is awarded to recognise ongoing excellence and consistent quality within the marina industry. Customers are asked to show their support for those nominated by voting for their favourites via the competition website. Final rankings within each category reflect the number of votes received from each marina’s customers weighted against the size of the marina in question. Nominations are reviewed by a panel of judges. The winners will all be announced at the London Boat Show in January 2017. Porto Montenegro has been designed to cater to the advanced needs of all yachts, their owners, guests and crew with specific infrastructure for the largest yachts afloat. The marina currently has 450 berths. It also has 228 sold-out luxury apartments, as well as 55 units of ground floor retail. This is made up of restaurants, bars, cafes, shops and amenities and a five star Regent Hotel with over 80 luxury suites and apartments. Yachting Boating World: The long awaited expansion of the Panama Canal has now opened. Thousands of people watched the first ship make its inaugural trip along the waterway. 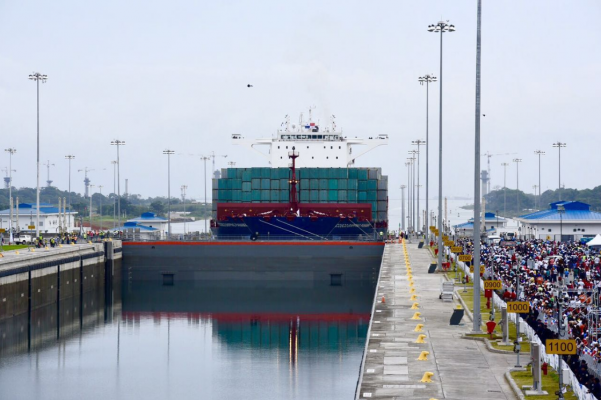 The first ship, a Chinese container vessel, has sailed through the newly expanded Panama Canal. Thousands turned out to see the Cosco Shipping Panama began its eight hour inaugural journey from the Atlantic to the Pacific on 26 June. The expansion will double the capacity of the Panama Canal. Work on the expansion project to broaden the canal started in 2007 and is reported to have cost US$5.5 billion. It allows a new generation of larger ships – Neopanamax class vessels – to use the waterway. It is hoped it will also increase the competitiveness of the shipping route, with liquefied natural gas (LNG) tankers now able to use the Panama Canal for the first time. Commentators also believe it could change how goods are imported into the United States, one of the most frequent users of the canal. Some are predicting that business will now be diverted way from Los Angeles and Long Beach – some of the USA’s busiest ports. Instead, more ships are expected to dock on the East and Gulf coasts. Concern has also been raised about the economic slowdown in China – the second largest customer for the canal. A drop in oil prices has also impacted on global shipping. 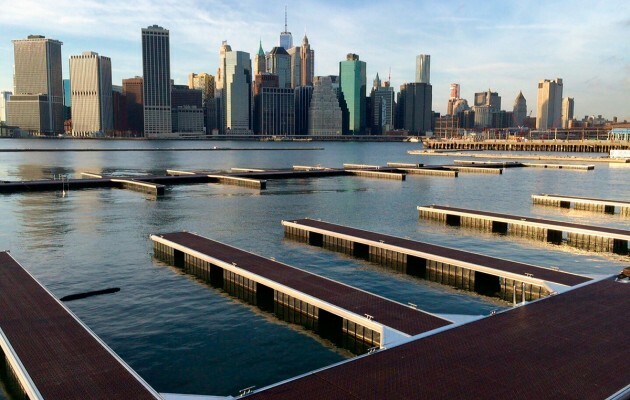 Motorboat & Yachting: The first New York marina to open in 20 years will be throwing open its doors on 1 May 2016. 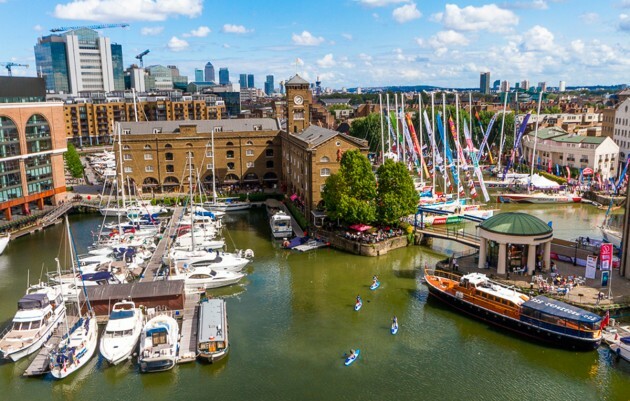 Motorboat & Yachting: Owners Blackstone Group have appointed C&N Marinas to renovate and manage London’s St Katharine Docks. St Katharine Docks currently features 160 berths and 22 visitor moorings. Motorboat & Yachting: MDL Marinas has announced that the Chatham Marina expansion will be ready for the new season, with 54 additional berths available from April. MDL Marinas will complete Chatham Marina with additional berths opening up on the River Medway, by a £500,000 expansion. The Kent facility has added 54 new moorings, which will be available, and the development also includes a new pontoon, alongside the marina’s Historic Dockyard. The new 80-acre site also features galleries, museums and warships from the Age of Sail. 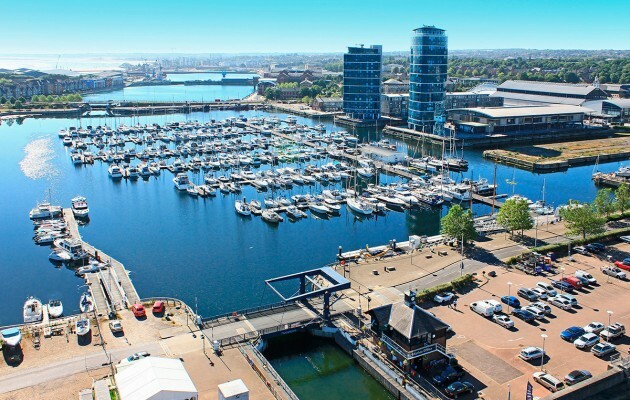 “The marina is at the heart of a multi-million-pound leisure and retail development, so it made sense for us to invest in these additional berths and the pontoon to accommodate the extra interest”, said Michael Glanville, group head of operations at MDL Marinas. MDL Marinas is the UK’s largest marina chain with 18 facilities including Ocean Village, Hamble Point, Penton Hook and Cobb’s Quay. Motorboat & Yachting: The world’s largest superyacht will now be able to moor up in Porto Montenegro after the Adriatic marina expanded its offering. 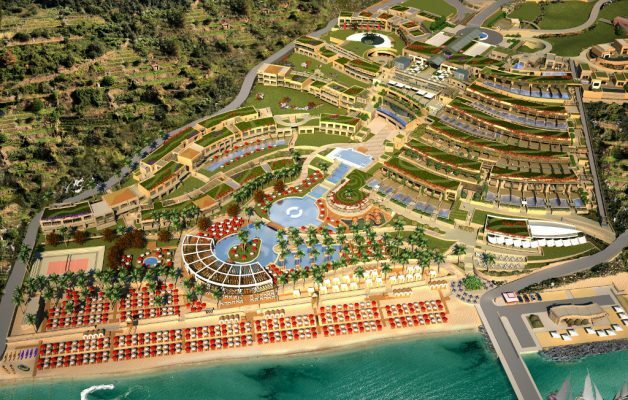 Adriatic marina Porto Montenegro has added a berth suitable for the world’s largest superyacht. The new berth will be capable of mooring vessels measuring up to 250m, the gargantuan mooring is even larger han the world’s largest superyacht Azzam, which is 180m from prow to transom. However, with several 200m+ superyacht concepts released over the past few years, Porto Montenegro is anticipating more future demands for mooring even larger vessels. 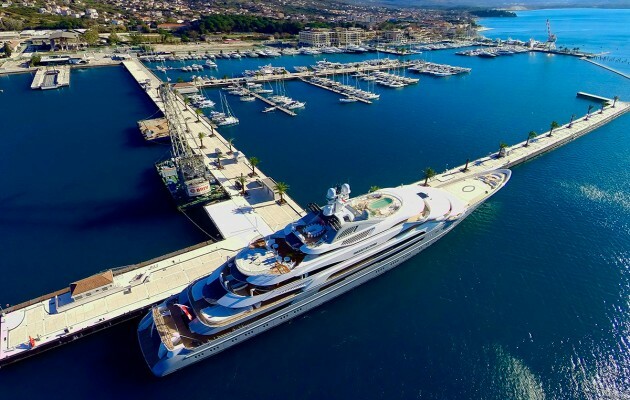 The new berth dwarfs many other Mediterranean offerings, such as the 135m berth at Grand Harbour Marina in Malta and the 190m mooring at One Ocean Port Vell in Barcelona. 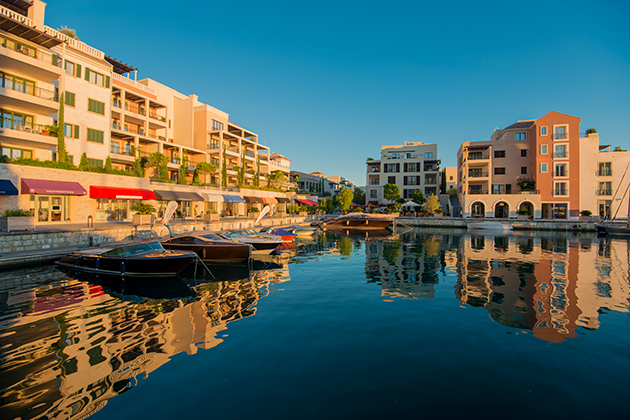 Porto Montenegro has a grand total of 450 berths, as well as 55 retail units and 228 apartments as part of its shoreside development. Montenegro might not be the first destination that comes to mind when you think of superyacht hotspots, that may be about to change with several recent accolades including the 2015 THYA Superyacht Marina of the Year. Motorboat & Yachting: With a new £1.5million system installed at Haslar Marina, soon the bertholders will be able to control their electrical supply remotely. Dean & Reddyhoff Marinas has announced a £1.5million investment in Haslar Marina. The marina’s new facilities includes installation of new Rolec Quantum electricity bollards and will be compatible with Rolec’s BerthMaster Online system. This means that the bertholders will be able to turn their power on or off from any web enabled device. Boat owners will be able to check their consumption levels remotely and securely pre-pay option for their electric usage. E-mail updates will be sent to the bertholders to them in the loop, with disconnection notifications and low credit alerts and. The slim anodised aluminium bollards are a first for any UK marina. 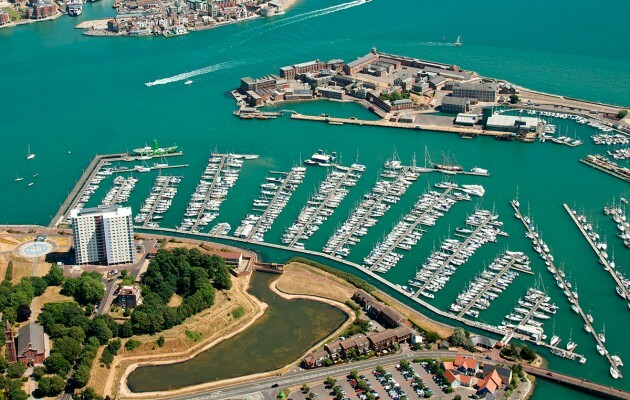 “We hope customers will use less electricity as a consequence with obvious environmental benefits, as they will get immediate feedback on usage so can quickly identify power hungry devices on board.” said Ben Lippiett, marina manager at Haslar Marina. Installation at Haslar Marina will begin in April of the new Rolec Quantum bollards, including major improvements to the washroom facilities. Motorboat & Yachting: Marina WiFi at all 19 MDL sites has been given a boost after the company invested £250,000 on upgrading its service. The marina chain MDL Marinas has announced that it has spent £250,000 upgrading its marina WiFi service and to handle video streaming, Skype calls and large file downloads. The marina WiFi is described as a “high-speed, low latency connection”, compatible with all WiFi enabled mobile devices. The firm has already received positive feedback from bertholders, saying that the marina WiFi is “exceptionally fast”. Marina WiFi is free to members of MDL Freedom Berthing scheme across all company sites in Britain.